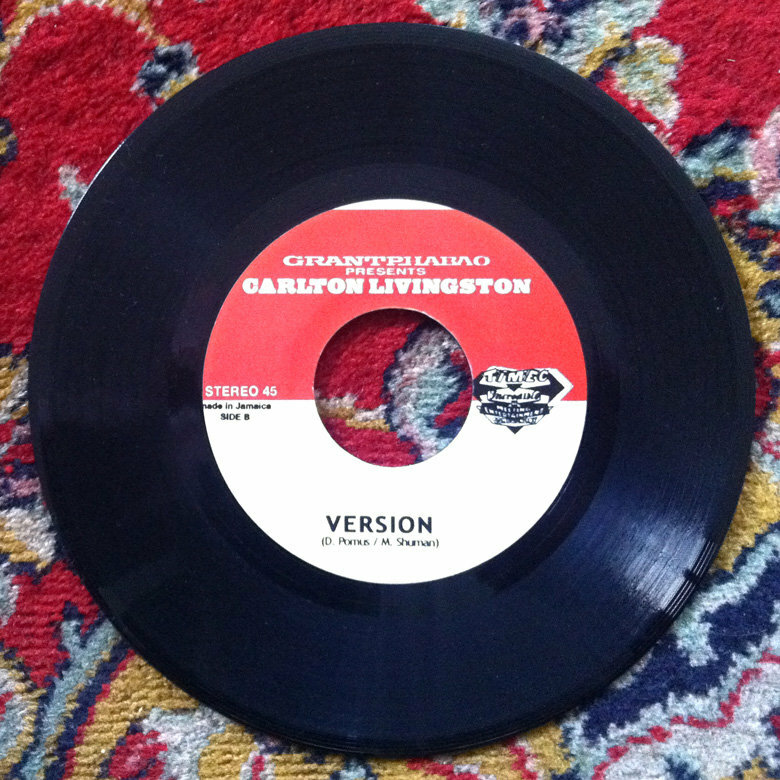 Pressed in Jamaica, 100 copies only ! Includes unlimited streaming of Teenager In Love via the free Bandcamp app, plus high-quality download in MP3, FLAC and more. 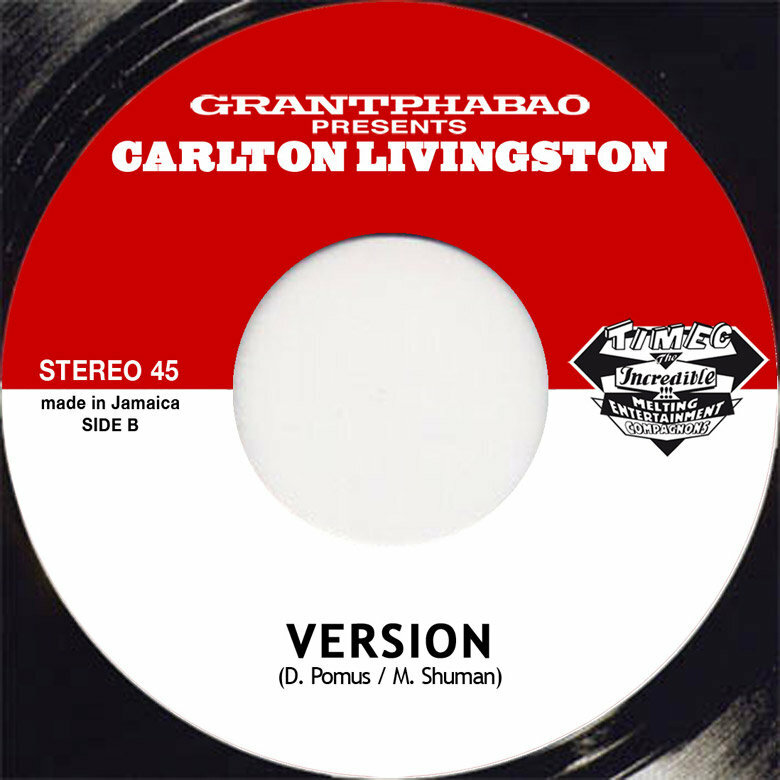 Veteran rub-a-dub singer, Carlton Livingston started his career in Jamaica in the 1970s in sound systems with legendary deejay The Lone Ranger. He started recording for Channel One Records in 1978 and soon went to Coxsone Dodd's Studio One label, releasing hits such as "Why", "Here I Stand" and "Predictions". His first album, "Soweto", was produced by Lone Ranger's friends Leon Symoie and Chester Symoie and their Thrillseekers label in 1979. The early 80s were a productive period for him, with big singles like "Mr DJ", "Cuss Rasta" (for U Brown's label), "Trodding", "Tricks" (for Sly and Robbie's Taxi label), "Rumors", "Marie" and "Confusion" (for Clive Jarrett's Dynamite Records). In 1983 Clive Jarrett produces his second album, "Trodding Through The Jungle", recorded at Channel One. Carlton then moves to the US and in 1984 releases on Greensleeves the famous "100 Weight Of Collie Weed" single and album of the same name, produced by Percy Chin & Hyman Wright. 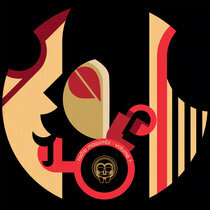 He never stopped touring and recording since, and is always in demand for one of his killer dubplates. In 1998 his massive hit "Rumours" is even revoiced by Bobby Digital as a combination with Grammy Award winner Shabba Ranks. 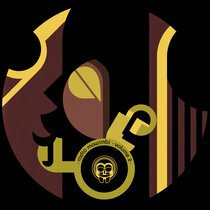 In 2004 The Lone Ranger introduces him to his crew, from France, the international music web agency T.I.M.E.C. and their unbeatable production duo - Grant Phabao recording a 100 new riddims in 4 years and Djouls gathering hundreds of thousands of visitors each month on their website www.parisdjs.com (launched with former Radio Nova programmer Loik Dury). Grant Phabao, The Lone Ranger and Carlton Livingston decide to join forces and produce together with T.I.M.E.C. their future recordings. Things start with a bang when they release in 2006 a limited edition 12 inch, a cover of Dandy Livingston "(A Message To You) Rudie", made famous by The Specials. 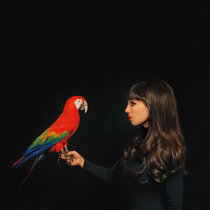 The single was a hit, played all over the world and sold out in a few weeks. Carlton went to to record more than 60 dubplates (!) on Grant Phabao's incredibly sounding "Rudie" riddim. 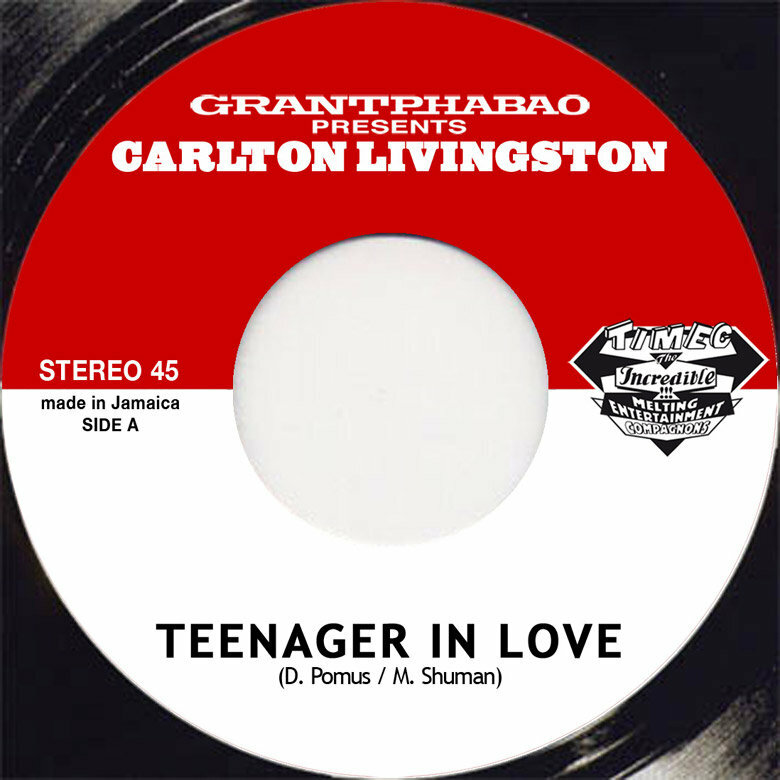 The new single, "Teenager In Love", a reggae/doo wop take on the Dion and the Belmonts hit from the 60s (written by Doc Pomus and Mort Shuman), was recorded during the same sessions as "Rudie", in November 2004 at T.I.M.E.C. studios in Paris with Grant Phabao at the controls AND producing the riddims. Two other tracks were recorded then, "Cry Tribulation" and "Running for my Life", the latter being licensed by french filmmaker Cedric Klapish for his 2008 hit movie "Paris". Following the success of the riddim single, Carlton comes back to Paris and T.I.M.E.C. studios in december 2006 and records 4 new tracks with Grant Phabao, "Bridge of Life", "Cherry" (on the riddim used for Ty's rework of "Don't Watch That" on Big Dada/Paris DJs), "Still Lamenting" and "Heard It Before". He would be back in march and april 2008 to re-record "Still Lamenting" to a higher standard, and record new songs "The Life of a Don", "Jackie's Statement", "Could Be Bitter" and the counter-anthem "(Sing) Power To The People". 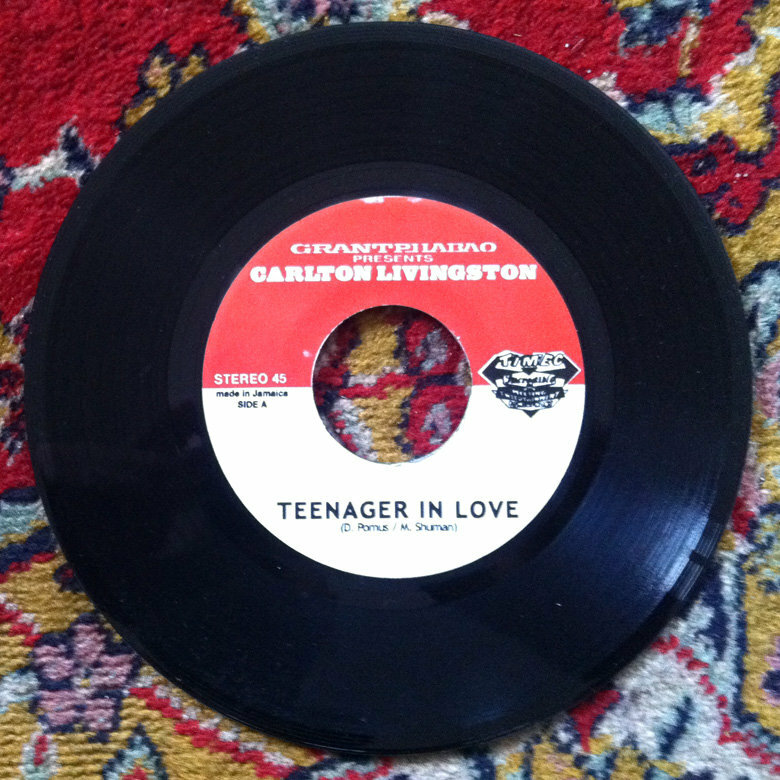 "Teenager In Love" is as sweet as Carlton's soulful reggae can be. It's another instant classic you'll have to hunt down: pressed in Jamaica and released by T.I.M.E.C., it's only available as a 100 copies limited edition 45 - act fast or cry later!